Welcome to the BRO Sports™ Network's wrestling reports. I will be covering the monthly WWE PPVs regularly. I'll also occasionally look into non-WWE stuff and covering news stories around the world of pro wrestling. This is a good time to start since we're now officially on the Road to WrestleMania, and this is always the time of year when things heat up - even if the product is mundane otherwise. The 2018 edition of Fastlane took place in front of 15,119 people in the Nationwide Arena in Columbus, Ohio. The SmackDown! brand PPV was the last stop before the Road to WrestleMania officially kicking off, but instead of anything landscape-shaking, what we got was pretty much a run-of-the-mill SmackDown! PPV. Nothing offensively bad, but not a whole lot I'm going to be looking back on a year from now. 5 = Excellent. As close to a perfect match you can get. I allow a little room for error, but the match has to be outstanding to reach five stars. An example of a five-star match would be Bret and Owen at the 1994 SummerSlam. Keep in mind that simply being "good" or even "great" isn't enough to earn this ranking. Magic has to happen in the ring in order to get up here from the rank below. I don't look forward to any of these in the WWE's near future, and neither should you, but the ranking is here just in case. 4 = Not quite five stars, but still an incredible match. A four-star match is one that I see myself rewatching multiple times after the fact. It has all the ingredients of a memorable classic and can be recommended to fans of pro wrestling of all ages, genders, religions, races, everything! 3 = Above average. To get three stars, a match has to be above the average TV match. It's not incredible like a four- or five-star match, but has enough enjoyable qualities to it to differentiate it from "just a match". A good flow and no boring spots are the prerequisites for earning three stars. 2 = The TV match. Most WWE matches fall into this category, to be honest. Sometimes even on PPV. Two stars is not necessarily bad, per se, but there's nothing memorable about it. Pretty much the thing differentiating a one- and a two-star match is the fact that in a two-star match, nothing so bad takes place that it offends me as a wrestling fan. This is your "just a match". 1 = A bad match, obviously. Nothing about it that I enjoyed, basically. Note that the match doesn't have to be bad "technically", or anything like that, since boring will also suffice. More often than not, it actually is the boring matches that earn this ranking. 0 = A rare case. Something has to be terribly wrong with the match to earn this ranking. Especially for a company like WWE, it's almost impossible for a match to score this low since the people in charge of putting the matches together who know their stuff well enough. This is for cases like Jeff Hardy wrestling Sting in TNA while intoxicated. Also, I've watched wrestling for so long, I've watched so many different companies that I'm a bit stingy with the rankings. Matches need to impress me, and I am admittedly a bit jaded when it comes to pro wrestling. I'm hard to impress, but I try to remain fair, nontheless. With that out of the way, let's run down the card. First of all, let's talk about Rusev for a while. I mentioned above that I'm really jaded and it takes a lot to impress me these days. Well, Rusev is definitely one of those guys that can impress me. I've been a fan ever since he arrived at the scene a few years ago. I have no idea why the company isn't behind him more; he has the size, the ring work, the mic skills, all the tools that make a WWE main eventer, but for whatever reason the company insists on keeping him in the backburner. And it's not like Rusev could potentially get over, the dude's over like rover already. Nakamura is the guy the WWE is going with at WrestleMania, but here was Rusev, as a heel, getting dueling chants against one of the company's chosen top babyfaces. WWE has always had this thing where the top babyface has to be comedic in some way, and Rusev is actually one of the rare instances of legitimately good comedic timing in pro wrestling. I've cracked out loud at Rusev's antics several times in the past. Not that I mind Nakamura, but it's pretty interesting that the WWE would work so hard to hide the fact that Nakamura can't really cut a promo in English, and still insist on going with him, even though there's Rusev who's already awesome and doesn't require any smoke and mirrors. I hate the fact that WWE takes away people's names, though. Alexander Rusev is so much better than simply Rusev. But I digress. The match was okay, it did what it needed to. It was never going to be a five-star classic since it was just there to give Nakamura something to do. It did suffer from Rusev being so over, though. WWE is very formulaic when it comes to stuff like the heel being cheered, so the first five or so minutes were wasted having Rusev stall in a desperate attempt to get heel heat. And it didn't even work; as soon as Rusev stopped stalling and continued on with the match, the crowd popped huge. Dare I say bigly. They love them some Rusev, and if I were WWE, I'd just give it to them. There has to be a backstage reason behind him not being featured more prominently. And it's more than likely that it's something very petty and ridiculous. My slight worry here was that as I was watching this match, I wasn't getting the feeling out of Nakamura that this is the guy who's headlining WrestleMania in less than a month. He was over, but not that over. And one could argue he was overshadowed by Rusev, to be honest. I know the match with him and AJ is going to be good, but I'm bothered by the fact that it's pretty much just a "smart marks like this match, so let's put it together just because" which goes against everything that I think a company like WWE should stand for. A notable spot was Rusev's beautiful superkick to Nakamura as he was going for the Bomaye - which I still call Bomaye, instead of the Kinshasa because it sounds cooler. No nearfall by Rusev was believable, though, since everybody knew Nakamura was just going to run over Rusev during the waiting period before the build really starts between him and AJ. And I really hope it picks up because it's been a whole lot of nothing so far. Anyways, the match was an opener. It served us well. Nothing wrong with it. Will never watch it again as long as I live. "Babyface Bobby Roode is weird." 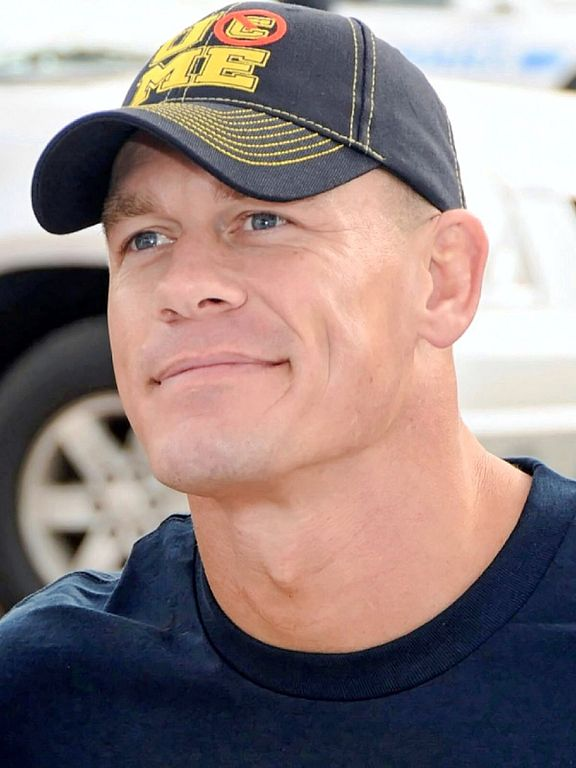 "Randy Orton is starting to look old." This then lead me to think that, indeed, Orton's been with the company since 2002. That's 16 years. 2002 is such a long time ago, I remember still having hopes and dreams back then. The story here was that Orton has never won the US title and therefore wanted to win the one belt that's escaped him during the 16 years he's spent in the WWE. Well, it's cool that they're making an attempt to make the US title mean something. But I couldn't help but laugh at Tom Phillips' statement about how Randy Orton, the 16-year veteran, multi-time World Champion and multi-time WrestleMania headliner is fighting to win the US title to ensure his spot in the Hall of Fame one day. The same Hall of Fame that just a few days ago announced Hillbilly Jim as an inductee. Yes, Orton is scratching and clawing. The match itself was not bad, but there was nothing that stood out about it and nothing that made it more than a TV match. I know that PPVs aren't 50 bucks a piece anymore, but I still think you should deliver something more than a TV match on PPV. The only noteworthy thing about the match was the rather surprising finish where Orton caught Roode in mid-air with an RKO and actually did join the Grand Slam club of the WWE by winning the US title. After the match, Jinder Mahal ran in and started a beat down on Orton, but Roode decided to lay them both out. 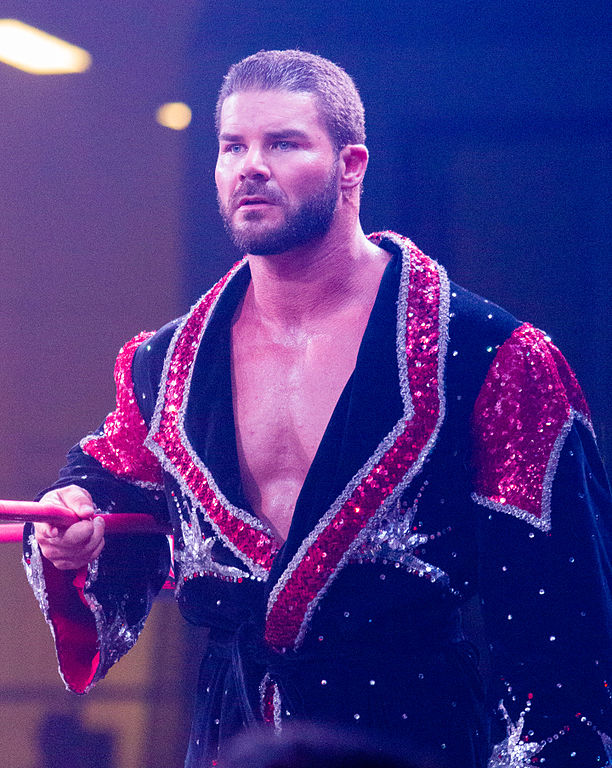 I've never been a fan of babyface Bobby Roode because it's just wrong. He's one of those men that are so handsome you just hate them. There's just nothing more or else that you can really do. You just hate them and hope for bad things to happen to them. This is why Bobby Roode makes the perfect heel. So, needless to say, I was happy when the post match shenanigans seemed to tease a heel turn. Roode being miscast as a heel was probably a big reason why I wasn't really getting into this match. There was nothing really wrong with it, but there was no reason for it to exist, either. Before the match, the foreign announce teams are introduced and we have a FUNAKI sighting! Highlight of the night for me, easily. I also love Carmella. Really. No, she's not the best "wrestler" around. No, she's not a technician in the ring. She's not "good" in the most traditional sense, at all. But there's something Carmella does that so many of even the male wrestlers these days are struggling to get right: she understands her character. Carmella is a heel who's way over her head, completely overestimates her own abilities and despite her shortcomings is still the most full of herself person in the ring at any given time. I love it when there's someone who looks like Carmella - meaning they could easily get much easier work than WWE - but despite the good looks puts in the work and the effort to improve. She "gets" pro wrestling a lot better than a lot of the "better" wrestlers. She does a number of small things that a lot of people don't seem to even consider doing. This is why I dislike hearing stuff about her from smart marks living their mom's basement; she's put in a lot more work into her career than any of the smarks will ever put into anything. But no, the match was nothing special. And all four of the girls involved are actually talented in their own right. Becky was extremely hot, though, so it's not like the match wasn't "enjoyable". It's that it was enjoyable for reasons other than the actual wrestling expertise on display. Not dissing the girls, though. Like I said, they're all good. Especially Natalya who could probably make a lot of the guys on the roster tap out legit. But the match was filler and that's all it was ever going to be. The finish was really weird and I didn't quite understand what they were going for here. Natalya goes to the outside and grabs Carmella's Money in the Bank briefcase, which catches Becky's attention, allowing for Carmella to catch her with a superkick for the win. I guess they were going for something that the camera didn't quite pick up, but I was left confused. Carmella was hilarious with her "I WON?!" after the match on the outside. Like I said, love her. New Day and the Usos did something really cool last year; they had an epic tag team rivalry. Something not really seen in the WWE since, oh I dunno, the 80s. They even had a Hell in a Cell match, among other matches considered to be the best 2017 had to offer. The question was what could they possibly do in this match that we haven't already seen. The answer was: each other's moves. The story here was that each team did the other one's signature spots. And it was fun, it really was. I was enjoying what I was seeing and was impressed with it. I was expecting a typical WWE style match, but I got something new and fresh. Unfortunately, the match was cut short when Luke Harper and Erik Rowan interfered and beat up both teams, leading to a no contest. The beat down angle itself was really cool and went a bit beyond the normal WWE level of brutality, which was nice to see. I was just slightly pissed that we didn't get to see a full match with the twist of the teams using each other's moves and spots. Nothing else to really write home about, the match never really got started, but what they did, I liked. I'm giving the match a 1 for effort, even though it ended before it really got truly underway. This I liked! This was my second favorite match of the night, behind the main event. I still think Charlotte would ideally be a heel. Mostly due to the fact that she's so much bigger than most of the other girls, and it's easier for the bigger wrestler to be the heel in any given situation. Also, she's Ric Flair's daughter, so of course she makes for a natural heel. But Ruby's a good heel, too. She doesn't seem to have a need to be "cool", which is what ruins a lot of heels these days in the WWE, and wrestling in general. She really tries to be unlikeable, which I, paradoxically, like. There was something old school about this match and I was impressed by Ruby Riott. I hadn't seen much from her, but this match made me a fan. And that's what you're supposed to do when you're new and you're given a PPV title match opportunity: make the most of it and prove that you belong there. In general, it's pretty much the girls these days in the WWE that are impressing me. Charlotte I've always liked and I even though I think she's miscast as a babyface - much like Roode - she's Ric Flair's daughter and it shows. Even if David Flair wasn't "quite" on this level back in the day, despite having those Flair genes. A good showing from both girls. The fact that I went into this without any expectations no doubt helped, but I did watch the match a second time after its airing and it held up. It gets a chuckle out of me that something like WWE - that's so frowned upon by many - actually is a company that got "feminism right". All they did was give a platform for talented women to perform to the best of their ability. Of all the things in the world, it was a professional wrestling company that finally "got" this whole feminism thing. After the match, Asuka came out, officially challenging Charlotte for the title at WrestleMania. So now we know that Charlotte is the female champion Asuka is going after. I'm expecting Asuka to win, Carmella to try and cash in her Money in the Bank after the fact, but ultimately failing. On RAW, Ronda will be kept undefeated for a year, and at next year's WrestleMania Ronda and Asuka will finally square off in an undefeated vs. undefeated match. And I'd be down for that. As long as Rousey is the one who puts Asuka over, not the other way around. It's still so weird to me that AJ Styles, Mr. TNA, is defending his WWE Championship. But I have to take this opportunity to praise AJ to high heaven. I remember first seeing him in 2002, thinking he's a good spot monkey, a really good spot monkey, but hardly anything more than that. I felt this way about him for the longest time, pretty much up until 2014 when he finally left TNA to go to Japan. I guess something just clicked with him during his time in Japan because the AJ that came back from Japan and signed with WWE is worlds apart from the spot monkey AJ he once was. AJ is a ring general these days. He knows where he is, where he ought to be, when, how, why. He can have a good match with anybody. And not only that, but he also learned to talk somewhere along the way. Something he was never really able to do during his decade-plus in TNA. I hate it when people compare him to Shawn Michaels, though, since I think AJ is the best AJ. He doesn't have to be a Shawn Michaels Lite, or a Shawn Michaels Version 2.0. 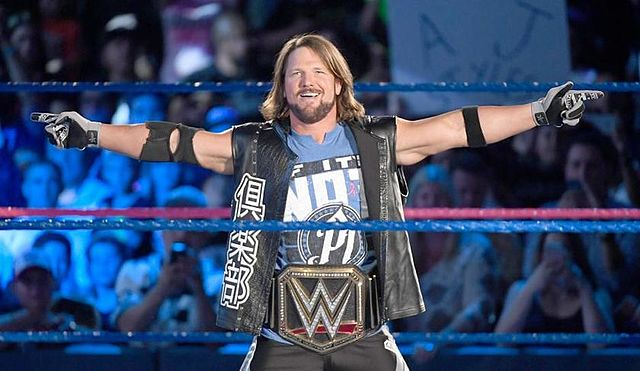 He's AJ Styles, and that's really awesome. Something else to mention is Dolph Ziggler. I've never really liked Dolph. I can get some other people's fixation with him, but I've never been a fan. I think he takes himself too seriously, his selling is often way too over the top and reeks of being a tryhard. He's also very inconsistent; he can sell really well and be half dead for three minutes, then take the best Bret Hart-style turnbuckle bump you've ever seen anyone take since Bret retired - and then be back on his feet right after. He's like a video game character, and I've never been a fan of that type of wrestling. But the reason I wanted to bring him up was... what exactly was up with the storyline where he vacated the US title and left the company? He left the company and came back to... do the exact same thing he was already doing? I don't understand, and I guess he was legit leaving, but then decided to re-sign at the last possible moment, and that lead to this confusion. I already don't like him, but stuff like this makes it even harder to really get behind him. The match itself was really good, if unexciting. The unexcitement pretty much came from the fact that everybody and their mothers knew that AJ was retaining and they're going with AJ and Nakamura at WrestleMania. I guess I was sort of wondering whether The Undertaker would get involved and cost Cena the match, kickstarting their rumored program going into Mania, but there was no Undertaker to be seen. I'm thinking Cena and Undertaker will have an angle tonight on RAW. Now the story is that since Cena wasn't able to capture the title, he's out of WrestleMania unless he comes up with something quick. It's all kinds of silly to assume that a publicly traded company would just opt out of using their biggest star on the biggest show of the year, but hey, it's wrestling. Whatever. The other big story in the match was between Owens and Zayn. During the match, the former best friends turned rivals turned best friends turned on each other, so I guess it's going to be Owens and Zayn at Mania. Right? That seems to be the logical direction. It does beg the question, though, that what has all the buildup with Shane and Bryan been about. All in all, this was actually a very good main event. I'm not even a fan of these big multi-man matches, but this was really well booked and built. It was never boring, it kept going on all cylinders all the time, and everybody seemed to get their stuff in. Both Zayn and Owens had the match won at points, but Shane pulled the referee out of the ring, which was just weird because Shane is supposed to be the babyface and that's just a heel thing to do. I guess they could be slowly turning Shane with the story being that he's becoming a tyrant like his father, or something like that. But on TV, it's looked like Bryan's been the one being set to turn heel. And WWE doesn't exactly do subtle. Stuff is usually telegraphed so well even Stevie Wonder can see it. As expected, AJ retains, and the closing spot was really cool with AJ delivering the flying forearm from off-camera, making it seem like it came from out of nowhere. My only complaint here is that AJ didn't pin Cena, but Owens, instead. Cena pinned AJ on TV a few weeks ago, it would have been nice to have AJ get the win back as he's off to defend the title at WrestleMania. I liked the PPV for what it was. It was little more than a glorified SmackDown! but at that, it was a glorified episode of a very good SmackDown! so I don't have any major complaints. Orton winning the US title was a surprise; the New Day and Usos stuff was good; Carmella and Riott was really good; and the main event was very good, as well. I'd prefer that they didn't have any PPVs between the Royal Rumble and WrestleMania, but it's so pointless to even hope for something like that, there's no reason to make a case for it. It would not have been worth 50 bucks, but it was definitely worth the $9.99 I'm paying for the WWE Network. Yeah, it's probably going to be Nia and Alexa. I don't know about Usos and New Day, though. Harper and Rowan interfered for a reason, so you'd think they're going to be involved. And yeah, Roode, Orton and Mahal seems to be a lock. True, i forgot about Bludgeon Bros, but I just dont feel they are WrestleMania worthy yet, maybe its just me...but I read that Big E may be hurt, so you may be right, perhaps a triple threat there as well?? ?I also forgot Miz/Finn/Seth, that should be pretty awesome! I really dislike multi-man matches at WrestleMania. But the WrestleMania bonus is the biggest payday of the year, so they try to get everyone on the card every year. In a way, the card suffers as a result. I think Harper is a really good talent, actually. Rowan I can take or leave. The Bludgeon Brothers, as a gimmick, may not be Mania-worthy, but I do think that as individuals both Harper and Rowan do deserve a Mania spot, other than the battle royal. ...and Bray/Hardy, that should be super fun, finally! Sweet, Schatty on board with brospn! Haven’t watched wrestling too much since I was a kid, but my son seems to be getting into it quite a bit. He does flying leg drops off the couch and he wants me to take him to a live match. I’m thinking WWE NXT when they are in town this June. From what I hear they actually put out some good talent. I didn't think anyone could possibly write so much about a wrestling match. Very impressive! And this post is nothing! Ask me why Owen and Bret was the best match of all time one day. Now that was informative @schattenjaeger! I used to be a huge fan of pro wrestling but WWE just killed it for me. I hit youtube and watch the old stuff. Thanks, bro! And yeah, I hear you. The WWE is now a corporation. It has to answer to shareholders, sponsors, advertisers, etc. It simply can't be what it once was. Ironically, this was also what ultimately killed WCW, and you can see WWE repeating a lot of the same mistakes. this is too much man on wrestling.